From retro computer games and Hollywood blockbusters to the West Indian cricketer Brian Lara - no field of contemporary culture is safe from Simon Barraclough's sophisticated and inclusive vision. Bonjour Tetris presents seventeen new poems originally commissioned for radio programmes, anthologies and the opening of a concert hall. Both serious and playful, quirky and formal, these poems prove there's nothing ordinary about writing to order. 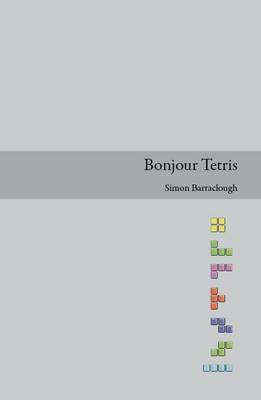 The first Penned in the Margins mini-book, Bonjour Tetris is published in a boxed, limited edition with an exclusive poem-postcard inside. Each copy is signed and numbered by the author.